Staff English-trainer urgently needed at FNPF Central Kalimantan – teach working English-language skills for approx. ten (10) dedicated conservation staff at our Borneo office in Kumai, Central Kalimantan and reforestation/ community development field projects in Tanjung National Park & Lamandau River Wildlife Reserve. Qualified English-trainers are required as volunteers for a minimum of one month (preferably up to 6 måned) – tutoring for four (4) hours a day & will be provided with accommodation at conservation project sites. 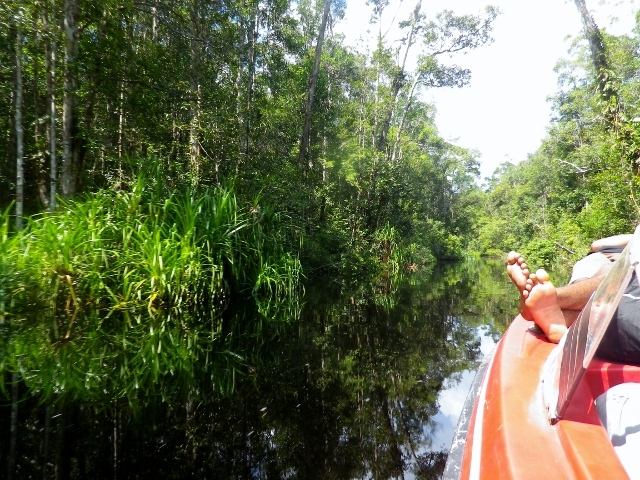 Sign up for your action-packed jungle adventures in Borneo. Best time to come? ASAP! Long-term volunteer required as a Volunteers Coordinator to supervise our global conservation volunteers teams in the jungles of Kalimantan Borneo. Knowledge of/ or experience in reforestation, habitat restoration, dyreliv & fire monitoring, permaculture and agroforestry. Volunteers will be active at 4 project sites near Tanjung Puting National Park – accessible by river – and at the more remote Lamandau River Wildlife Reserve. The Volunteer Coordinator will travel between sites for planning and supervision. Long-term volunteer is preferred – minimum of 6 months essential for this role. Job sharing is possible. FNPF offers visa support and accommodation at the project sites. Sign up for your action-packed island adventures in Borneo. Long-term volunteer required as a Volunteers Coordinator to supervise our global conservation volunteers teams on tropical, unspoilt Nusa Penida Island, near Bali. Our Volunteer Coordinator will direct volunteer groups in daily activity planning at project work sites with villagers, herunder: tree & mangrove planting, community garden work, habitat restoration for native & truede fugle, turtle monitoring, teaching English at local schools – or helping with promotional/ fundraising roles in marketing and grants writing. As Volunteer Coordinator, a commitment of 3 months is required (preferably up to 6 måned). Job sharing is possible for this role. FNPF offers visa support and accommodation at the Nusa Penida centre. Sign up for your action-packed island adventures on Nusa Penida.